Planning a wedding can be stressful, with some careful planning and organisation you can have the wedding you desire. 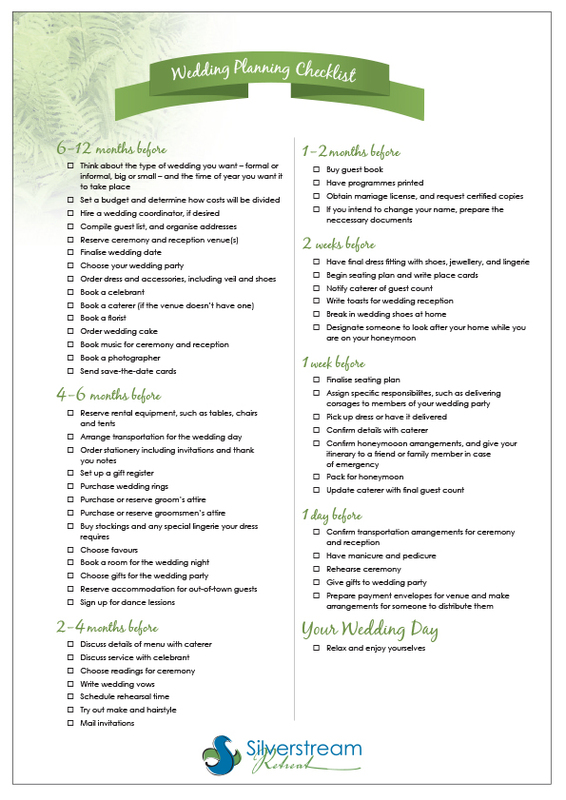 Our 12 month printable wedding planning checklist can help you keep track of all the necessary dates and arrangements. This is a general timeframe which includes details such as when to book the wedding venue, the caterer, and when to pick up the wedding dress and grooms attire. So set the budget, organise the date, get working on the checklist and don’t forget to have fun! Download our wedding planning checklist here.